Clean and Gone are hard access strip out and demolition experts. 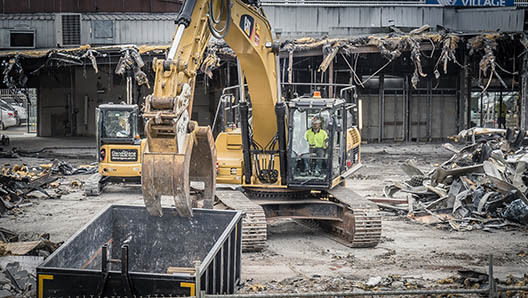 We have a track record of delivering on commercial demolition projects that pose challenges for contractors. Our ability to handle both the demolition and asbestos removal aspects of a job allows for a seamless end to end result for our clients, from first inspection to complete removal of all waste, including contaminated waste. Our equipment is geared towards hard access projects and we have fine-tuned our methods to ensure an efficient, safe environment for our staff and the project site. The team at Clean and Gone incorporate machinery and hands-on demolition to complete our works. Our approach ensures the safety and protection of surrounding structures and the property in general. We understand the importance of heritage buildings and will provide you with a site-specific control plan and methodology to ensure a safe, systemised project.